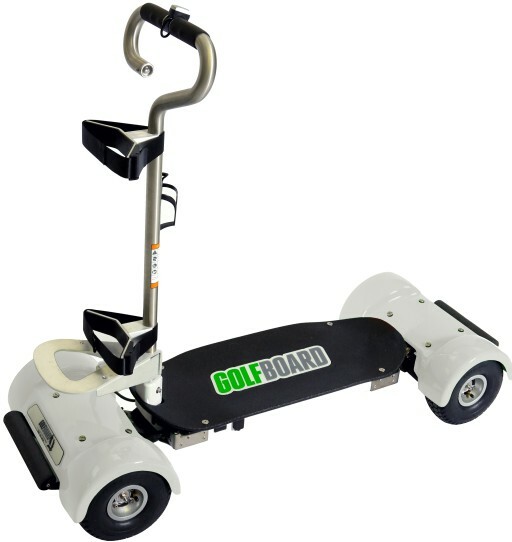 ​​​​​​Sol Boards Inc., one of the golf industry’s hottest start-ups, and maker of the GolfBoard – is providing a limited opportunity to make an early stage investment through its crowdfunding campaign at https://www.startengine.com/startup/golfboard. The GolfBoard offering at StartEngine now allows accredited and non-accredited investors to participate in one of the best investments in golf. With over 2,000 GolfBoards across 250 courses worldwide, and nearly $10,000,000 in sales revenue, GolfBoard has proven its broad popularity and ability to revolutionize the golf industry. GolfBoard will be featured at the upcoming CrowdInvest Summit on December 7th & 8th at the Los Angeles Convention Center, where investors will be able to meet with Sol Boards’ CEO, John Wildman, and other members of its Senior Management team, to see GolfBoard’s new offerings, including their 2017 model GolfBoard, plus their new SportsBoard, ResortBoard, and DualBag Board models. ​Sol Boards Inc. has installed a national sales force, and is expanding its international distribution network, led by a highly experience executive team, to capitalize on rapidly growing domestic and worldwide demand. With 34,000 courses around the world, Golfboard is well positioned for growth. The company also plans to leverage its innovative technology to expand in to high potential adjacent markets such as resorts, industrial, and all-terrain applications through the recent introduction of its street-ready “ResortBoard”. 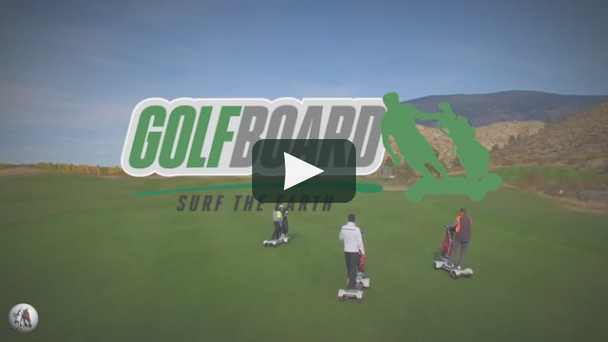 Conceived by Bally Total Fitness Founder, Don Wildman, and legendary big wave surfer, Laird Hamilton, GolfBoarding is an entirely new way to traverse terrain and is forever changing the way golfers experience the game. The four-wheel drive, electric board allows users to turn by simply transferring their body weight in a carving motion akin to snowboarding or surfing. GolfBoards are durable and built with a safety-first, user-friendly mantra to provide golfers a more active and engaging alternative to passively riding in a cart. 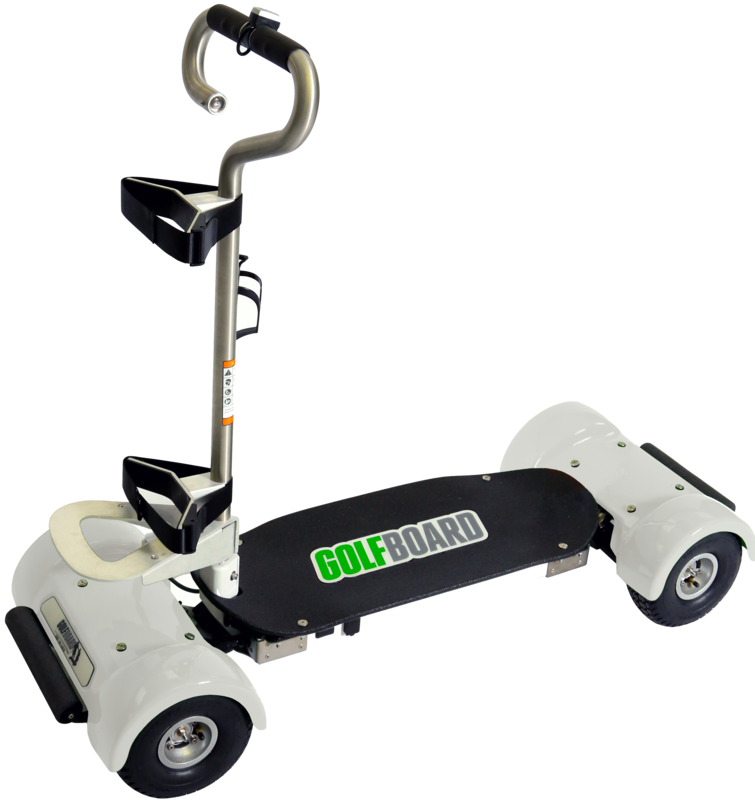 Advanced technology allows GolfBoarders to customize board settings and configurations, including adjusting speeds from 5 to 10 mph via a simple, one-touch switch. 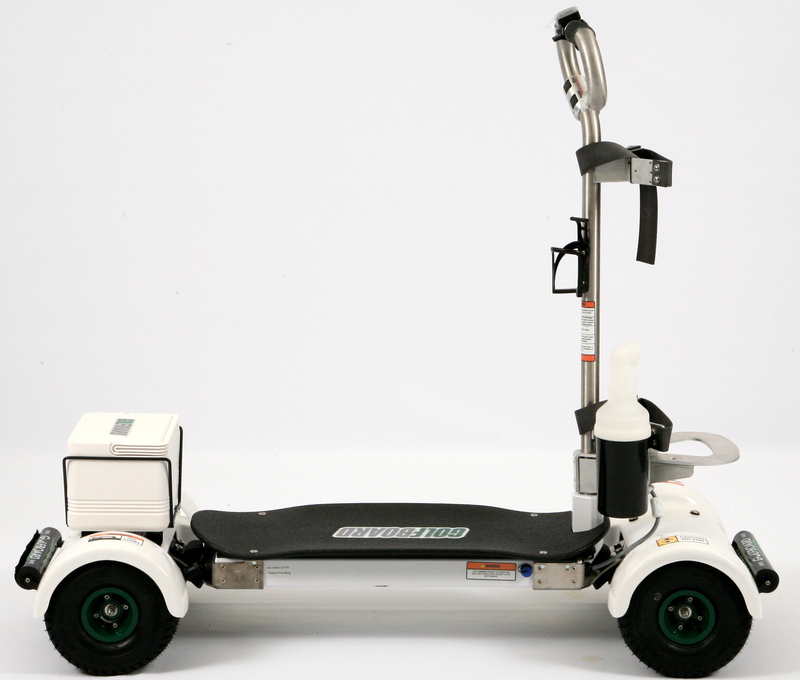 There are two versions of the GolfBoard: a commercial-grade GolfBoard ideal for rental fleet use, and a personal use SportBoard available to be customized with a wide selection of custom fender colors, graphics, wheels, and decks. Plus, a high-performance package providing a top speed up to 14 mph depending on the terrain. Dozens of individual golfers – including PGA Tour stars and A-List celebrities – have purchased GolfBoards for personal use at their favorite courses. Affordable personal and fleet leasing options are offered. Courses offering GolfBoards for rent have improved pace of play, generated more rounds played, and reduced course maintenance costs, increasing revenue and profits. GolfBoard is now available at 250 courses in the US, Canada, Mexico, United Arab Emirates and Indonesia, and has distributors in Switzerland, Australia and the United Kingdom. There are nearly 2,000 GolfBoards currently in service, and Sol Boards Inc. is expecting to nearly double its global footprint by the end of 2017.